© Samantha Burggraf. All rights reserved. Dragging wheelbarrows of dirt to the outside of his palm thatch and sheet metal hut, Daniel rested from his chores and lied down, nestled into the matted fur of a sleeping dog. 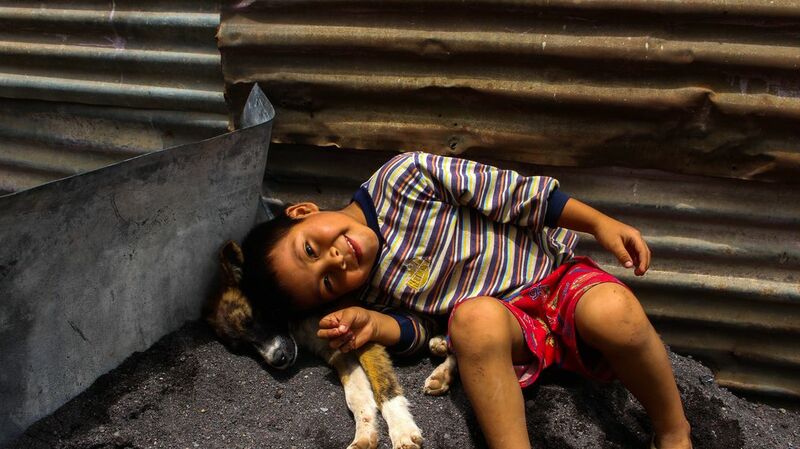 The boy and the stray dog cooled off under the sweltering Guatemalan sun. Date Uploaded: Oct. 10, 2017, 11:01 a.m.